If you think wooden homes might not be for you as they always look a little too rustic, prepare to have your mind resolutely changed! We've found a home that has made wood the star of the show, in a really big way—and we can't salute the architect in charge of the project enough! The finished home is a cacophony of warm spaces, sturdy structures, modern shapes and amazing beauty that we know will impress all of you, even if you pride yourself on having phenomenally high standards. Don't believe us? Then just come and see! If this façade didn't make you smile as soon as you saw it, you must have a heart of stone! The mixture of different varieties of wood have come together to create a wonderfully warm, inviting and stylish property that already feels like home, just from the outside! 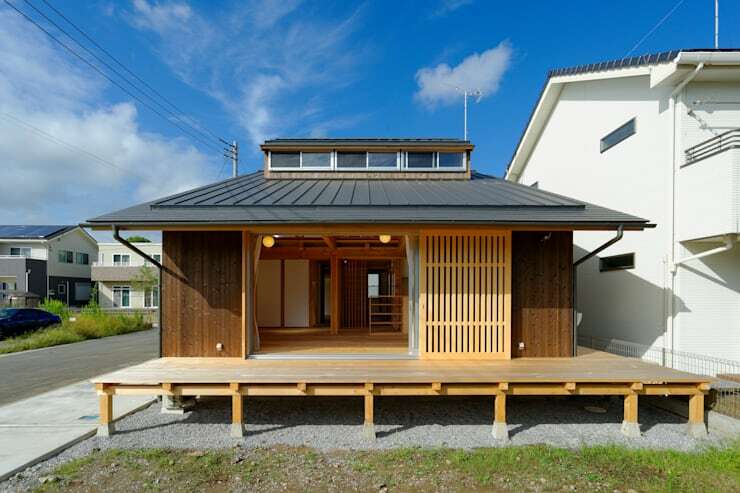 The sloping roof and slatted screen are amazing too and make us wonder about the internal structures. 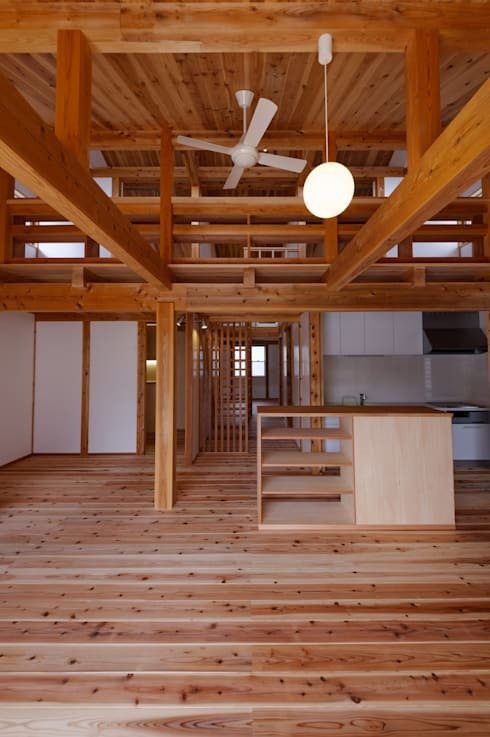 There's something intrinsically amazing about this interior, as it is so open-plan and yet, thanks to all of the wooden beams, it almost feels enclosed and properly divided as well, as though a wooden web is in place! Simple lighting was a great choice here and can we take minute to appreciate the kitchen, to the right of this picture? Blink and you could miss it, that's how camouflaged it is! With the structure of this home being exclusively made up of wood, easy storage integration was guaranteed! As part of a spacious and understated living room, we think these wall shelves look amazing , especially as they frame the television so simply. Any extra, bulky storage would drown out the open feel of the home, so this is a fantastic idea. Wood and white always look amazing together and that principle has been put to great use here! With gorgeous beams, banisters and handrails leading into easy room divides and gloss white wall panels for bedroom and bathroom spaces, there is no concern about privacy, despite how open this home actually is. 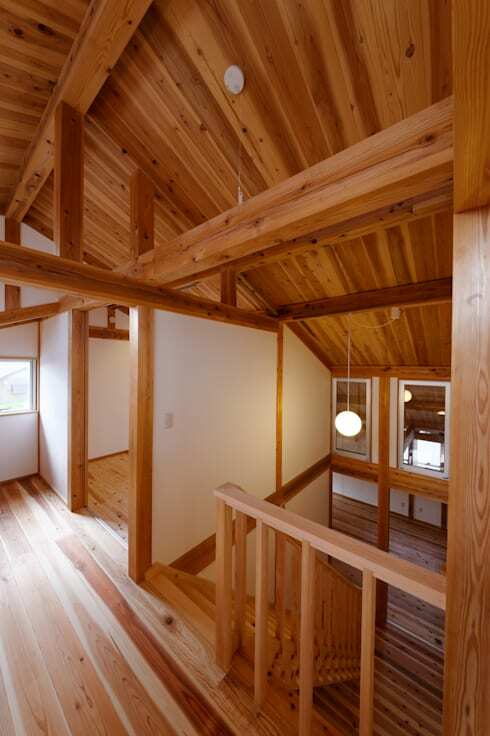 Nor do the walls diminish all the natural wood, as they work so well together! Don't you think that there is a natural flow to all of these spaces? Even here, at the top of the staircase, there is a free and easy vibe permeating the walkway! The interior scheme is so simple, yet it is effective in curating a harmonious home that has a modern and traditional feel, all at the same time! Even at night, this home has some serious presence! With beautiful cladding and simple lighting in place, the interior design is wonderfully well represented on the outside of the property and offers a sneak peek into how the home must feel. 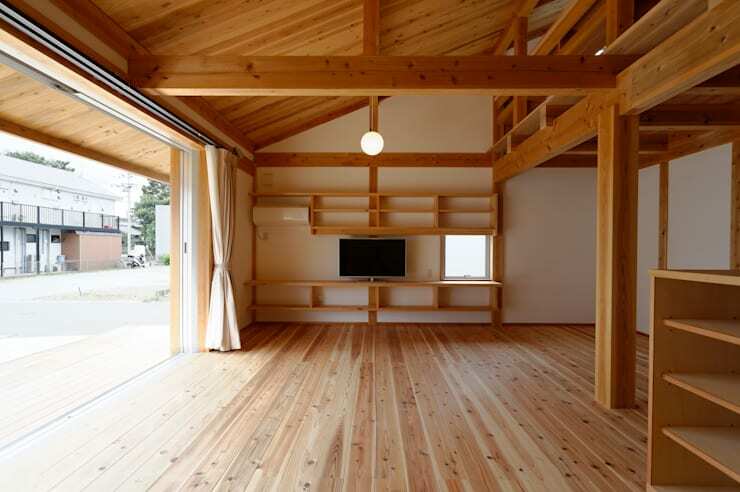 We know one thing; we would LOVE a wooden home just like this one and we think a few of you will too now! 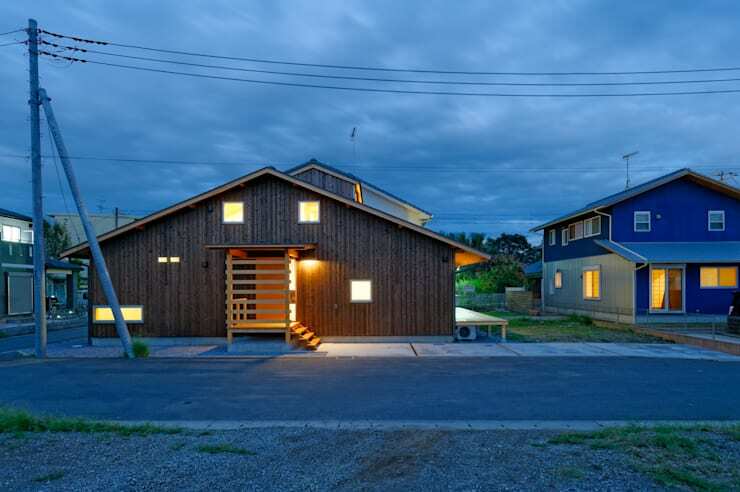 For more amazing home design, take a look at this Ideabook: 20 cheap and simple homes to inspire your next build. 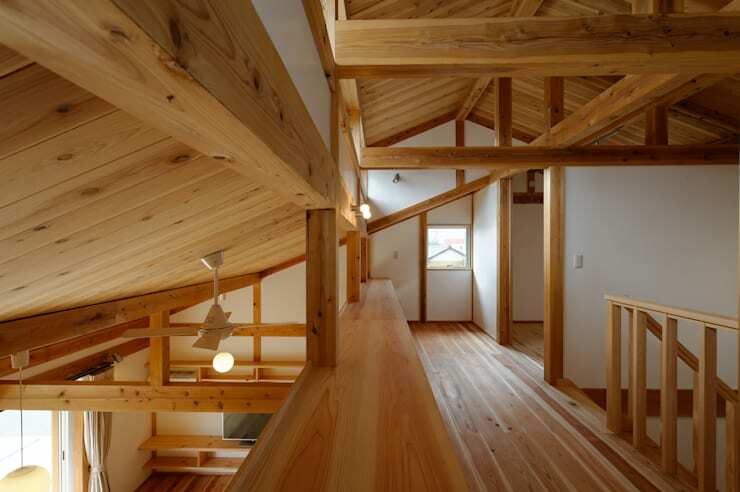 Would you be happy living with so much wood in your home?